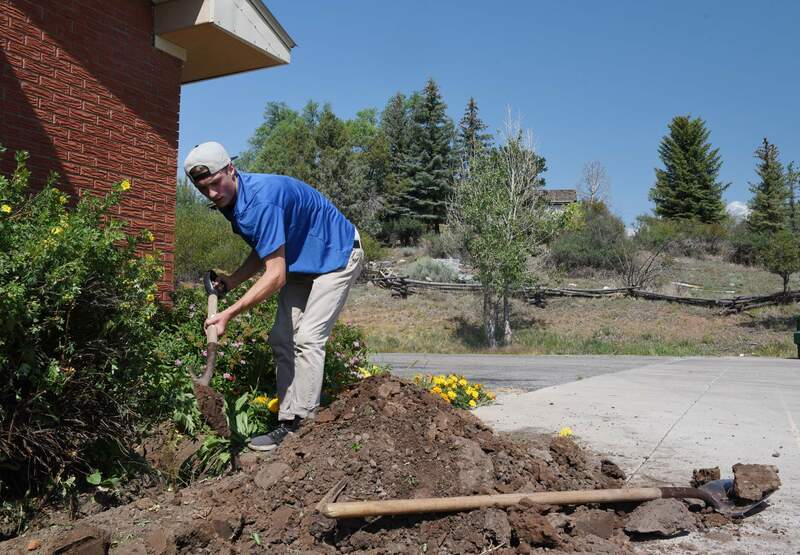 Lance Townsend, 17, digs a trench for a natural gas line as part of his Eagle Scout project Friday at the Animas Alano Club in Durango. Lance’s project for Troop 501 is to build a fire pit for 12-step programs, so meetings can be held more comfortably outside. The two-day project is a culmination of his Eagle Scout endeavor, which includes a proposal and approval of the project plan, then reporting on the project’s completion. Lance is the son of Tom and Marian Townsend. 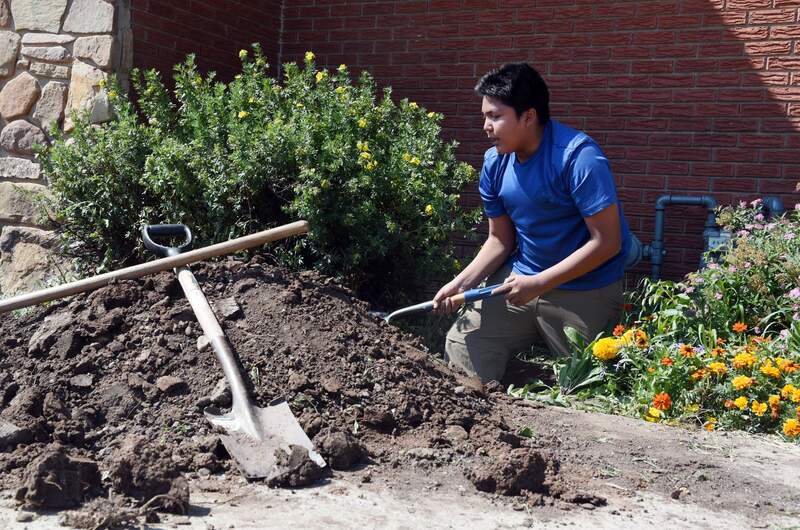 Boy Scout Troop 501 volunteer Davonte James, 13, son of John Birdie and Mary Silas, digs a ditch for a natural gas line Friday at the Animas Alano Club in Durango. Davonte helped fellow Boy Scout Lance Townsend with his Eagle Scout project. 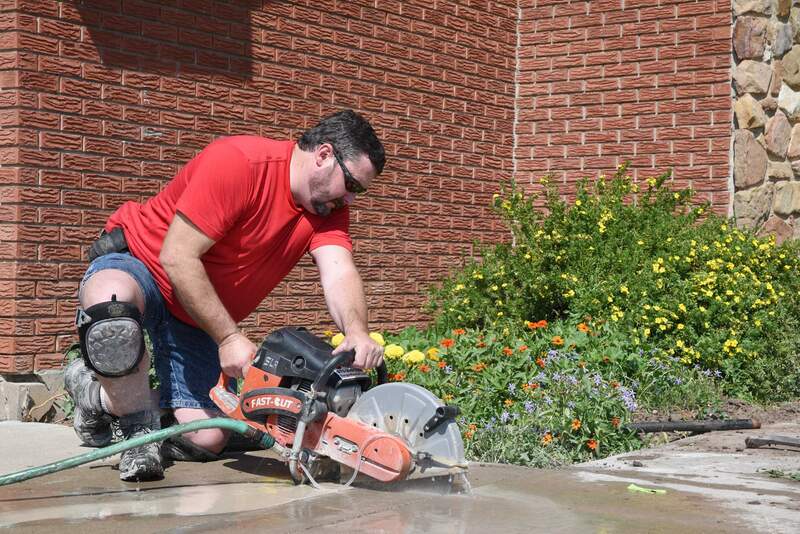 Volunteer David Donovan removes a piece of sidewalk to dig a ditch for a natural gas line Friday at the Animas Alano Club in Durango. Donovan was on hand to help Boy Scout Lance Townsend with his Eagle Scout project. Donovan, a plumber, got the permit for the build and has been mentoring Lance on the project. Tom Townsend, left, Troop 501 Boy Scout Davonte James, 13, and Lance Townsend, 17, dig a trench for a natural gas line as part of Lance’s Eagle Scout project Friday at the Animas Alano Club in Durango. The project involves building a fire pit for 12-step programs, so meetings can be held more comfortably outside. 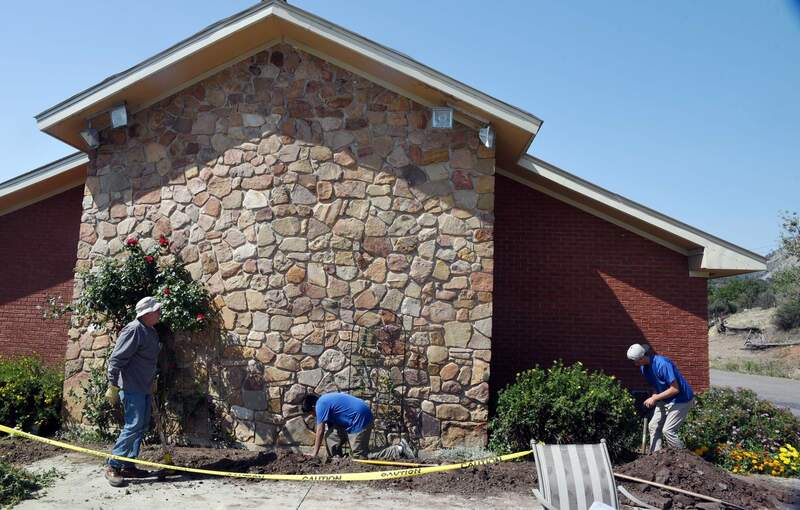 The two-day work project is a culmination of Townsend’s Eagle Scout endeavor, which includes a proposal and approval of the project plan, then reporting on the project’s completion. James is the son of John Birdie and Mary Silas, and Lance is the son of Tom and Marian Townsend. 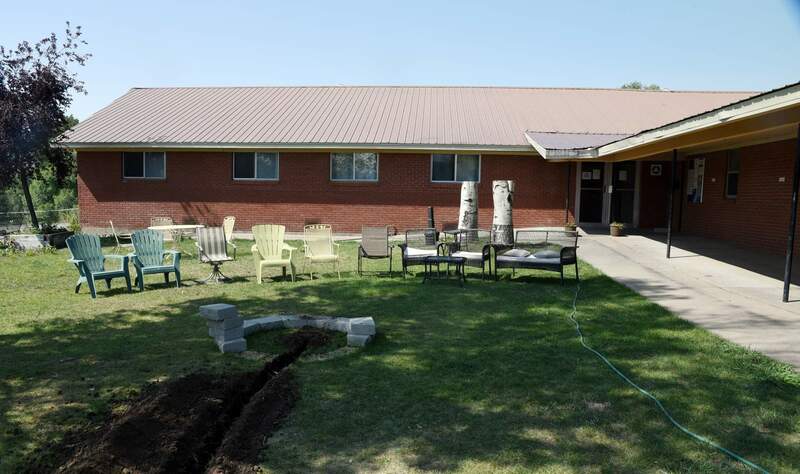 Lance Townsend’s Eagle Scout project at the Animas Alano Club is to build a fire pit for 12-step programs, so meetings can be held more comfortably outside. 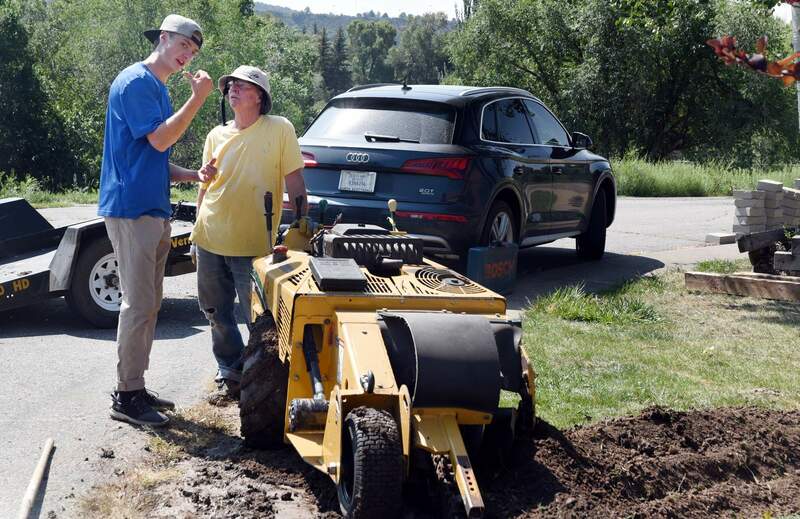 Lance Townsend, 17, left, son of Tom and Marian Townsend, coordinates with volunteer Ron Cornelius, who serves on the Animas Alano Club board, to dig a trench for a natural gas line for Townsend’s Eagle Scout project Friday at the Alano Club in Durango. The project involves building a fire pit for 12-step programs, so meetings can be held more comfortably outside. The two-day work project is a culmination of Townsend’s Eagle Scout endeavor, which includes a proposal and approval of the project plan, then reporting on the project’s completion. 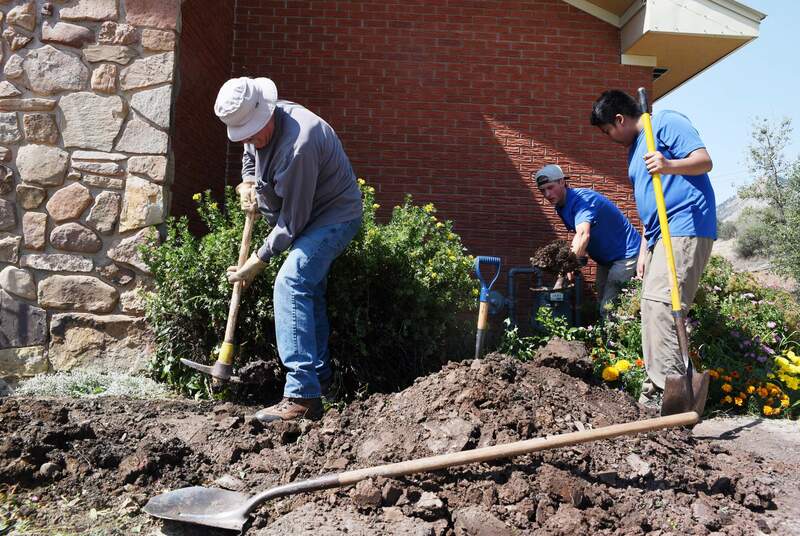 Tom Townsend, left, Lance Townsend, 17, and Troop 501 Boy Scout Davonte James, 13, dig a trench for a natural gas line as part of Lance’s Eagle Scout project Friday at the Animas Alano Club in Durango. The project involves building a fire pit for 12-step programs, so meetings can be held more comfortably outside. The two-day work project is a culmination of Townsend’s Eagle Scout endeavor, which includes a proposal and approval of the project plan, then reporting on the project’s completion. Lance is the son of Tom and Marian Townsend, and Davonte is the son of John Birdie and Mary Silas.